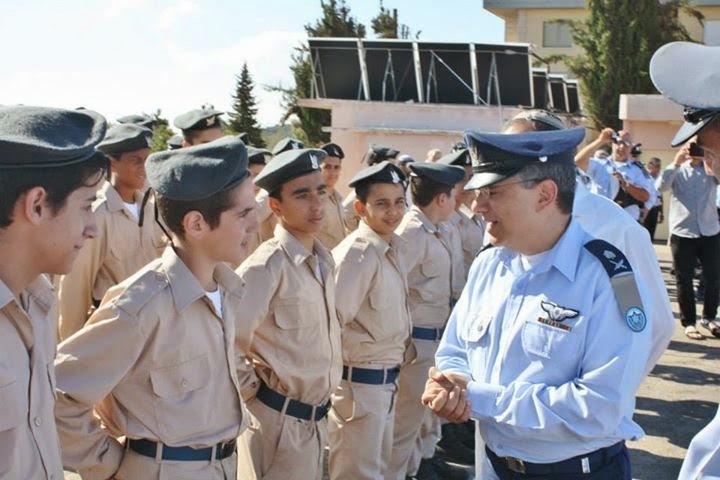 The commander of the Israel Air Force, Gen. Amir Eshel, visited the campus of YBA Bar Yochai in the Galilee town of Meron in September to launch a new cadet trianing program, "Kanfei Shachar" (Wings of Dawn). 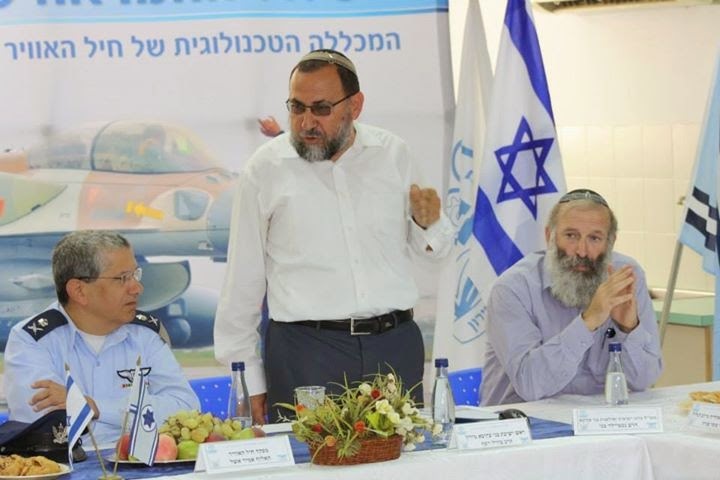 The program is a joint venture between the IAF and Merkaz Yeshivot Bnei Akiva meant to prepare a cadre of highly skilled recruits to man the ground support crews for the IAF's fighter jet squadrons. 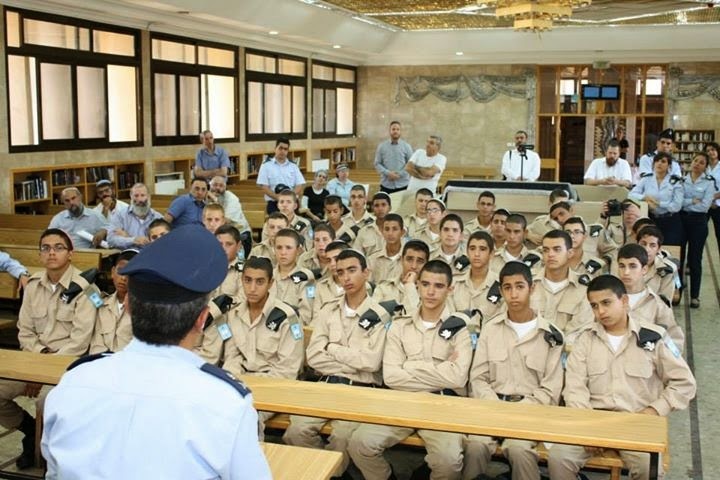 Rabbi Beni Nachtailer, the Director General of the Yeshivot Bnei Akiva educational network wished the cadets much success as they embark on a new course in their lives. "The way of religious Zionism demands that we should be involved in every aspect of Israeli society, always applying our eternal Jewish values in daily life." 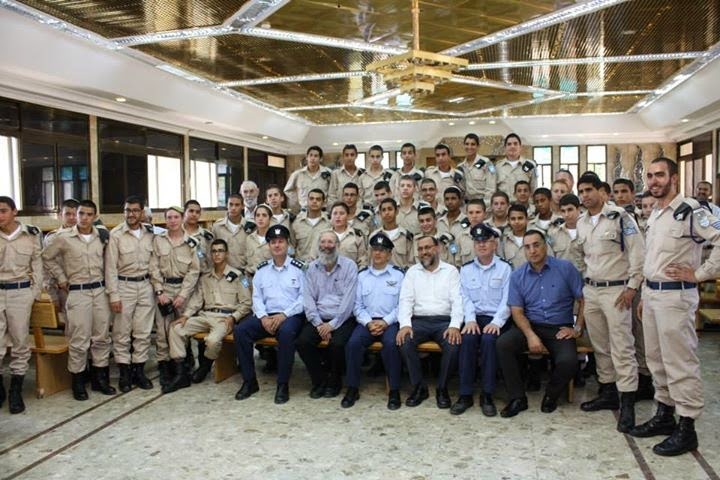 Gen. Eshel told the cadets that he was proud of the unique collaboration between the IAF and the YBA educational network. "We are thirsty for the special qualities that the students of YBA schools will bring to the air force," he said. "The number of pilots is limited, but they need a large number of high quality soldiers as ground support staff to make sure they can carry out their missions successfully and return home safely."